Have you ever wondered where your family comes from? Have you ever wanted to know more about your grandmother, or about that mysterious looking great uncle in that old family photo? 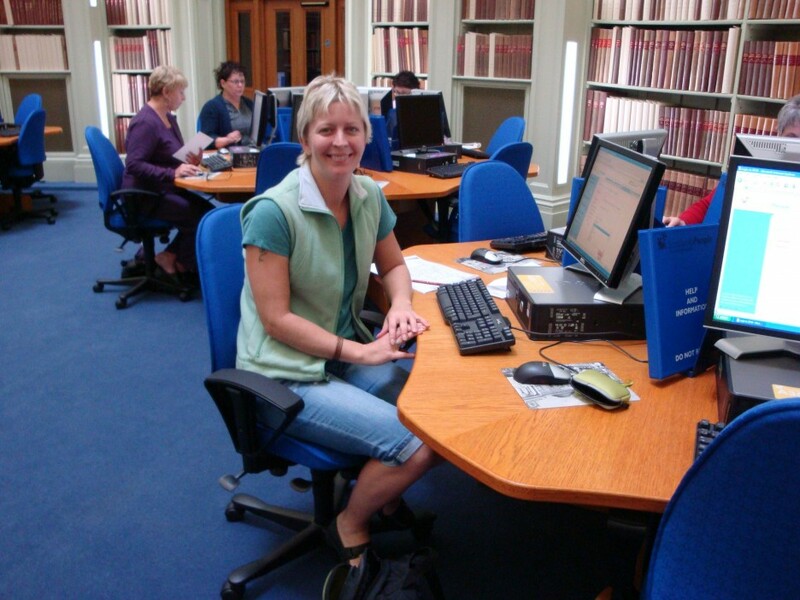 Are you stuck in your own research? Do you need help tracing your ancestry? I provide a professional research service which aims to uncover your family’s ancestral lines and then showcase these in a colour ancestor chart, while also providing you with various other reports. You will also receive a folder full of the records and documents I uncover during my research. The majority of my clients are people who do not have the time to do their own research and build their family genealogy. Others have already completed a part of their family tree and are seeking professional help to go further back in time. My prices are reasonable and I like to offer payment options to suit pensioners or low income earners, so please let me know if you require assistance. Please see my other pages for specific information about research, projects, prices and resources. Recently I had the amazing pleasure of helping a young man to find a woman named Vivienne – she was the daughter of a violin maker named Nelson Hardy Oliver. 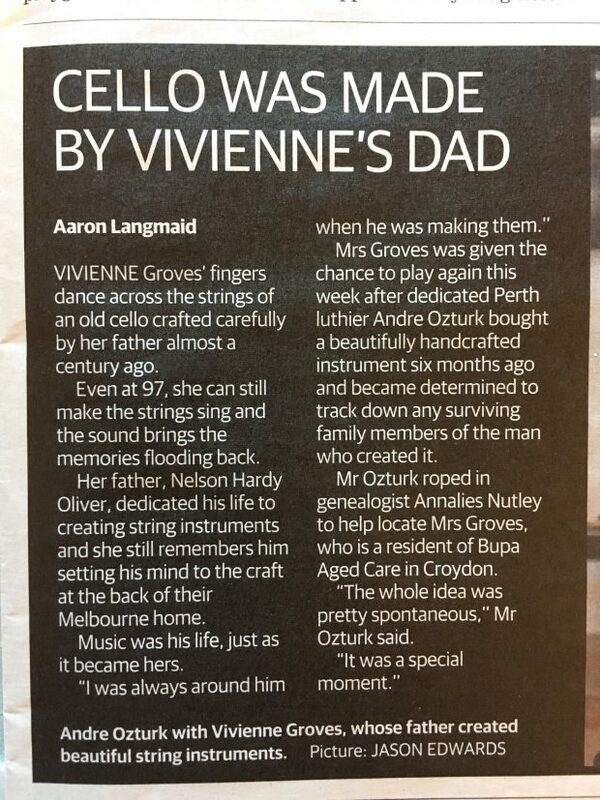 In 1918, the same year that Vivienne was born, Nelson made his one and only cello. 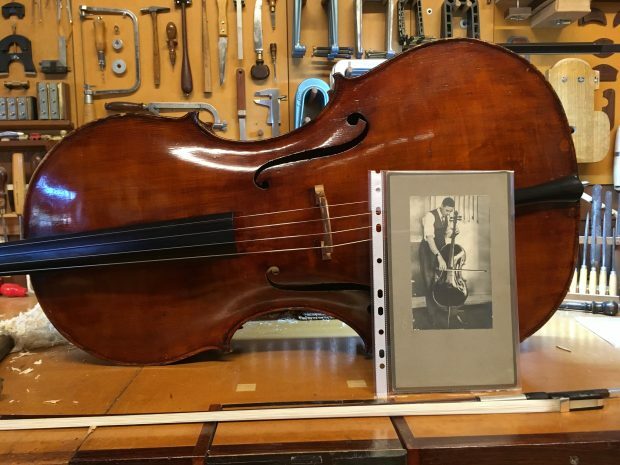 This young man, Andre, was now the owner this unique instrument and wanted to find her or any of her descendants so that he could play his treasured cello that was made by her father Nelson Hardy. 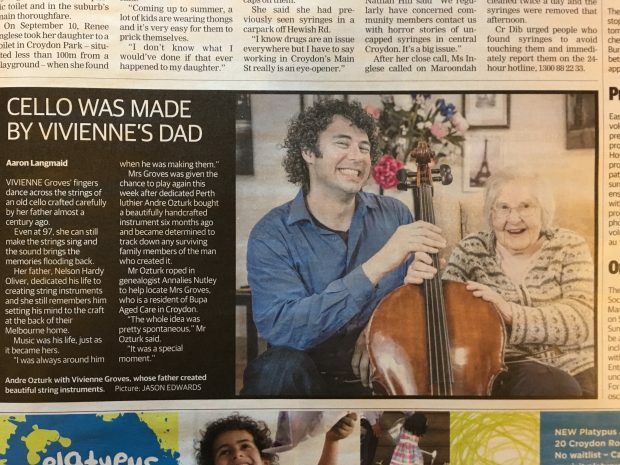 Well – after some weeks of looking for a living person – not your average project might I say – we were blessed to find out that Vivienne was actually still alive at the age of 99 and was very eager to once again hold the cello her father had made so many years ago. Genealogy research takes me on so many journeys, and all of them are emotional and unforgettable in their own right. I hope one day I can uncover your story and the reasons you came to be where you are today.